In Horse Valley it is a perfect day to go kite flying. Jack, Max, Lax, and Donkey decide to get creative by putting together their own homemade kites. However, Donkey's kite doesn't turn out very good. No matter how hard he tries to get it to fly, it just keeps tumbling to the ground. How will poor Donkey get his kite to fly? Well, a friendly goose named Gusty is delighted to help him out. Donkey's Kite is a cute story. The story has many good meanings. The importance of being a friend - how a friend responses - being a bully and how to come to the aid of a bully. At some point in our lives I think we have all felt like the Donkey - sad and disappointed needing a friend. Melissa did a excellent job expressing the emotions of the characters involved. Even the Goose when - I really do not think that he felt he was being a bully - when in fact he was. I think what we say and how we say it often may be taken the wrong way. We mean no harm but the person we are talking to feels harm. Teaching children to think before they speak and only say something they themselves would want to hear is a valuable lesson to learn. Melissa not only wrote this cute story she also illustrated the book. She did a excellent job illustrating the story. All of the characters are unique and fit their personalities. I was also given the opportunity to review her other short story - The Three Little Horses and the Big Bully Donkey. It to is a excellent child's book with wonderful meaning and great pictures. I highly recommend both Donkey's Kite and The Three Little Horses and the Big Bully Donkey as books that would make a great addition to any child's library. I’ve loved horses since I saw the movie Spirit: Stallion of the Cimarron, and I remember watching the bonus features where the animator did a step by step tutorial of how to draw Spirit. Ever since then I’ve been drawing and studying horses incessantly and it has led me to the world of Horse Valley, and to being called a crazy horse lady by my peers. What made you write a book about the magical land called Horse Valley? My childhood. Horse Valley is a world that has been with me for almost my whole life. When I write or draw about Horse Valley it captures the childlike world that I used to live in. And I love to put my characters through situations that I experienced as a little kid. There are many books out there about horses…What makes yours different? 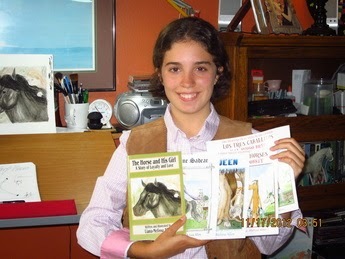 My books are different because it takes place in a fantasy world with horse characters that have various personalities. My cartoon illustrations also add a uniqueness to the stories. I typically like to write at my drawing desk on my computer. My office is like my little burrow where I peep out occasionally just to make sure that I’m not starving myself. That would be a difficult decision for me because I love history. But I think I would choose the US in the 50’s just so that I could listen to 50’s music with other teens who actually like the music too. And maybe I could see one of my favorite movies, Funny Face, with Fred Astaire and Audrey Hepburn, in theaters right when it came out! That would be pretty awesome. 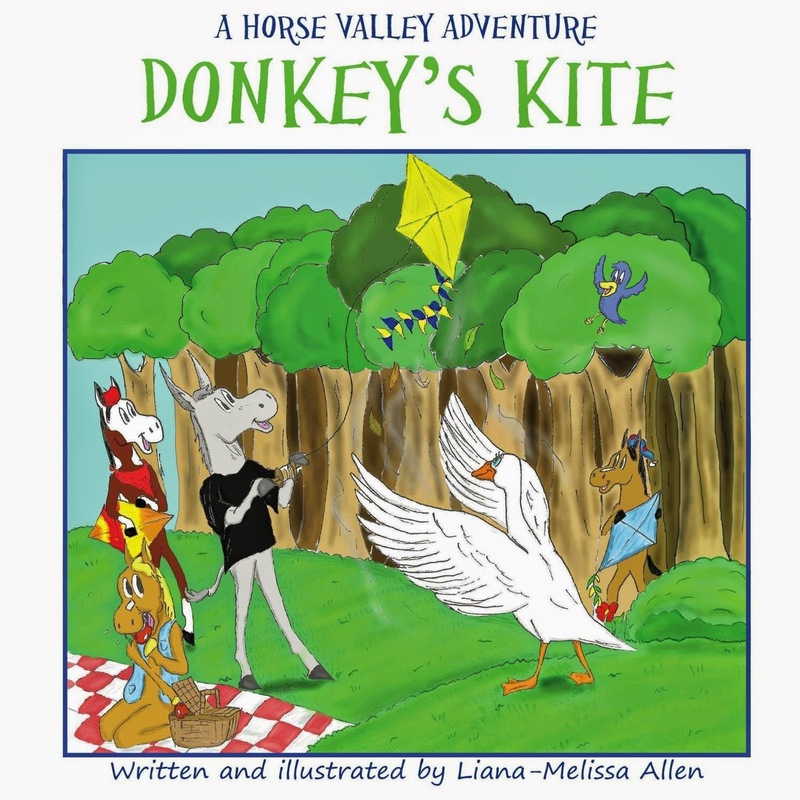 Thank you so much for the nice comments in your review of my book “Donkey's Kite” :) I love to write and illustrate books for children, hoping to inspire them to become readers. Reading aloud to children is the best gift one can give to a any child. Hopefully your great review will encourage more of this. Thank you again for you nice review of my book.